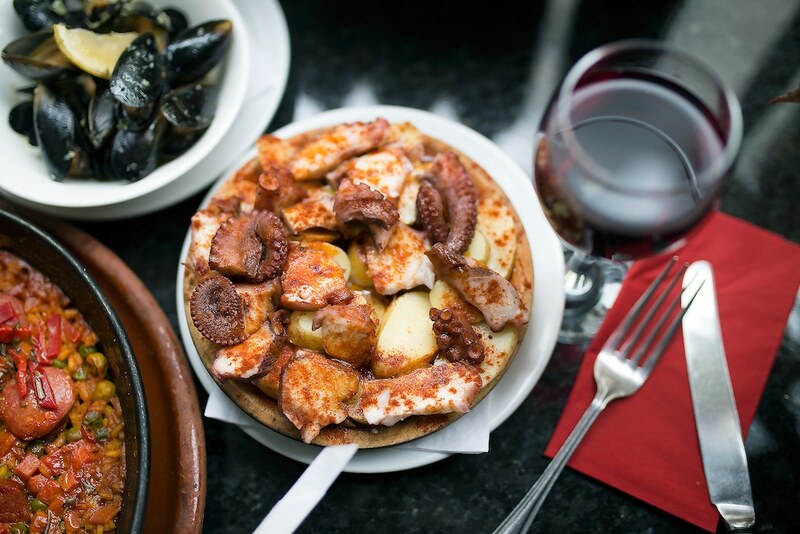 A taste of Spain without the plane! 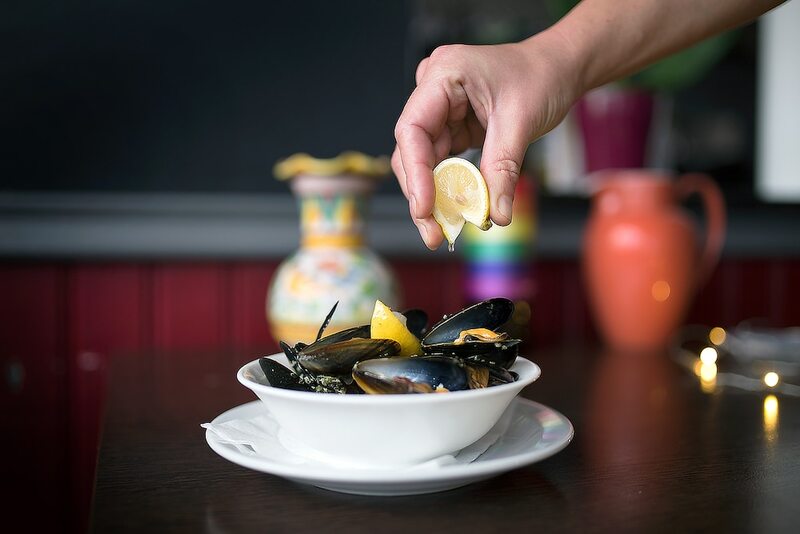 Agua Dulce Brighton specialises in Spanish cuisine and tapas and is situated close to the seafront and Brighton’s Lanes. 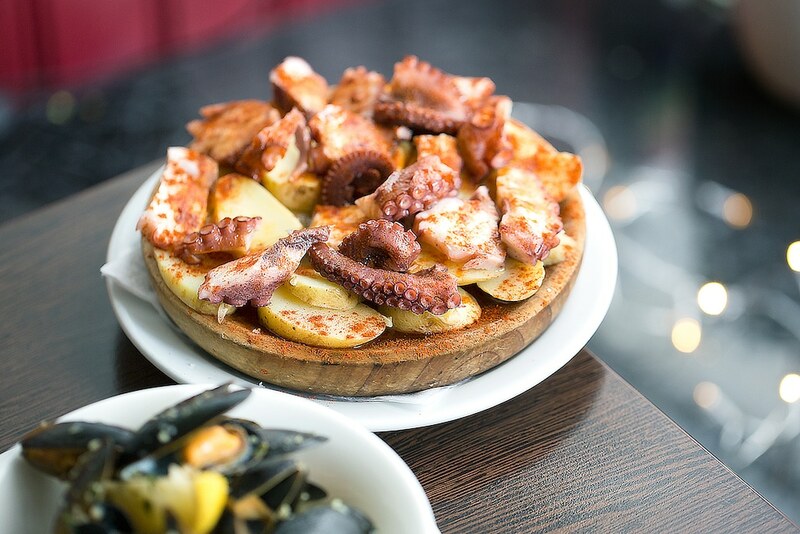 Expect to find fresh fish & seafood, Paellas and plenty of tapas dishes. Agua Dulce is split into the bar area, with seats at the counter, as well as the table area. Serving the freshest of tapas dishes using local fish, meat vegetables. Agua Dulce restaurant specialise in vegetarian paellas as well as seafood paellas. 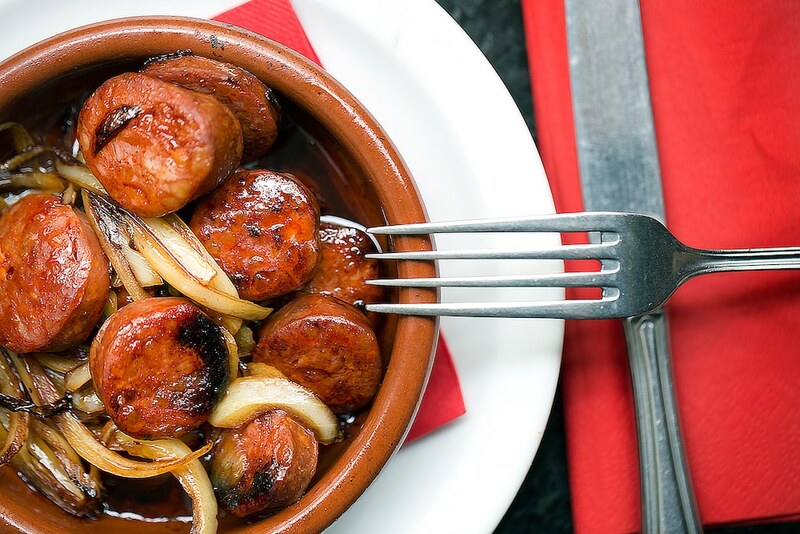 The bar offers you original tapas which is always free with a glass of wine or a lager, plus you can even come here for a coffee with a selection of homemade desserts. A great selection of Paellas and rice dishes, and an extensive range of tapas dishes, the most famous main plates one might have tasted while on holiday in the Iberian peninsula (i.e. Rabo de Toro) is just some of what they offer. 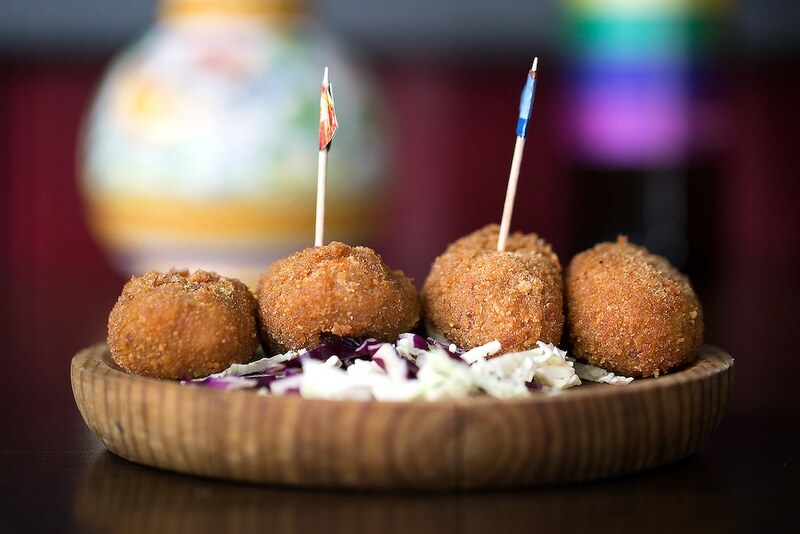 There is the chance to try the traditional Suckling Pig, Empanadas, Croquetas, Octopus dishes and Pig’s Trotters. There’s plenty of choice when it comes to drinks! Aqua Dulce has the only draught of Estrella Galicia in town, Gluten and Alcohol-free beers, award winning Spanish wines, a modest Gin boutique, a number of Spanish liqueurs, numerous Sherries and their own Sangria (a close attempt to the Solera system) with a very unique flavour profile. Their drinks promotions and by the glass wine offerings aim at giving possibility to approach the Spanish gastronomic culture, not to mention the hand carved Serrano Reserva and Bellota Iberico hams. Authentic Spanish cuisine. Love sitting at the bar here, enjoying the variety of tapas dishes.